The first transaction of Bitcoin involved buying 2 Pizzas in Jacksonville, Florida for 10,000 BTC on 22 May 2010 by Laszlo Hanyecz. Today, more than 250,000 transactions occur every day in just bitcoins and thousands of other crypto currencies get exchanged. 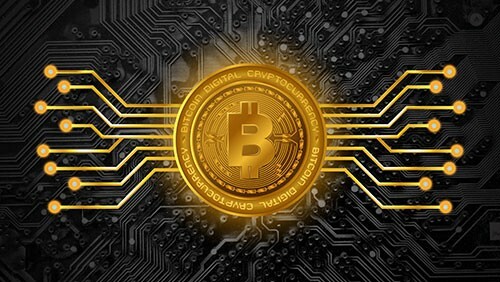 With almost no way to use crypto currencies except buy and sell, today BTC and other crypto currencies are accepted along with other FIAT currency transactions from thousands of websites as also by many offline stores such as Newegg, Overstock and check out. Bitcoin ATMs are being set up in cities across the world where you can exchange your coins to other currencies. Banks are slowly gearing themselves to co-existing with the crypto age as they invest time and money in the technology that powers crypto currency namely Block chain. Enterprises and Entrepreneurs are mushrooming all over the technology ecosystem dabbling and venturing out into building innovative solutions around Block chain primarily for the enterprise market. This has given rise to a new term called FinTech. Events and competitions have sprung up awarding game changing innovations in the FinTech arena. The crypto age is a push back against centralized management; be it in corporations of government. Most of the things that we do today are accounted for or by a central authority. Be it paying taxes or eating out at a restaurant and making payment using your credit card. The algorithm that powers the crypto systems is decentralized and completely automated. Taking the example of how crypto currency works; there is no central bank or corporation that issues Bitcoins and other crypto currencies. The entire system is created using a piece of software that makes use of a highly secure and water tight algorithm that requires no manual intervention. Which means there is no need for clerks to do the accounting and offers to verify and sign off checks. Thus, further means that there is no cost involved in processing transactions. No processing fees to be paid. This was the puritan crypto system created by Satoshi Nakamoto with the belief that such as system cannot be tampered with thus weeding out manipulation of currency and corrupt practices. However, just as there are idealists such as Satoshi, there are others who have found a way to tinker and make money in the Crypto age. Though, the idea was to have a currency with zero processing fees; with people, who did the processing using their computers and computing power, get credited by new crypto currencies in a system called as mining, new processing procedures have sprung root. These are the digital currency exchanges. Enterprises or organizations that offer legal mechanisms to buy and sell crypto currencies. Most people are not technically inclined to engage in crypto currency mining or installing software on their computers to digitally transaction in crypto currencies independently. Transferring digital assets requires transacting on a block chain and storing funds in a digital wallet. Here is where the crypto exchanges come into play. And yes, they are centralized unlike the original thought process of a decentralized currency mechanism. These exchanges employ several services needed to coordinate digital asset trading. Each crypto exchange uses an order-matching engine to match buyers and sellers, verify accounts and finally process transactions. The end user has to simply create a digital wallet and use the crypto currency exchange platform to buy and sell crypto currencies. And in some cases, cash in or cash out using FIAT currencies. And these exchanges charge a service fee per transaction. The crypto puritans frustrated with the manipulation of the crypto processes by profit making enterprises have decided to create their own eco-system inviting people to become citizens of an alternative solution. This involves engaging in purely in crypto currencies as payment mechanism for products and services and also engaging in all aspects of an economic enterprise. Bitnation, Empowr and Decenturion are some examples of such initiatives. Here people are encouraged to participate in economic activities as also promotion of their eco-systems. However, most of these offer only a façade of decentralization as conceptualized by the likes of Santoshi as they eventually fall back to a centralized functioning mechanism for administration of the eco-system. Crypto currencies are here to stay and the future is bright as far as practical application is concerned with automating processes in traditional systems as also crypto systems. Governments are now offering many services using Block chain technology, making the process transparent, effortless and efficient. With the advent of AI, the merging of crypto systems and processes with artificial intelligence and automated machines is inevitable. Crypto currencies such as Bitcoins have a bright future, so long as it is not overpowered by greed and manipulation by crypto exchanges. Governments are trying hard to bring in regulations towards these efforts. As we progress into the technology evolution, crypto systems and processes are going to only aid in our progress.